The #1 shortly after it arrived on the railroad. 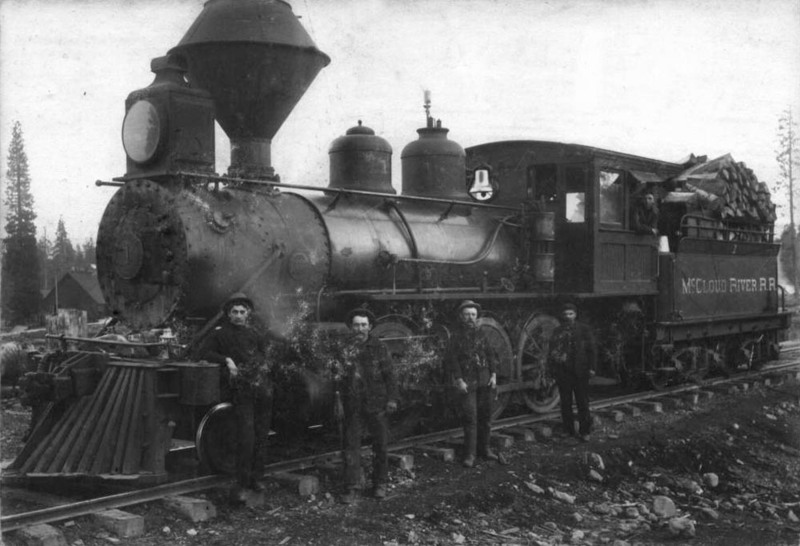 Photo courtesy of Heritage Junction Museum of McCloud, Inc.
Another early shot of the #1 with its crew. The man on the far left is Mr. Moran, one of the first engineers on the railroad. Mr. Moran, whos first name was either Bert or Frank, lost his life in 1900 when he crawled underneath a stalled locomotive on the grade between McCloud and Mt. Shasta City. When the locomotive started rolling downhill Mr. Moran could not get out from underneath. 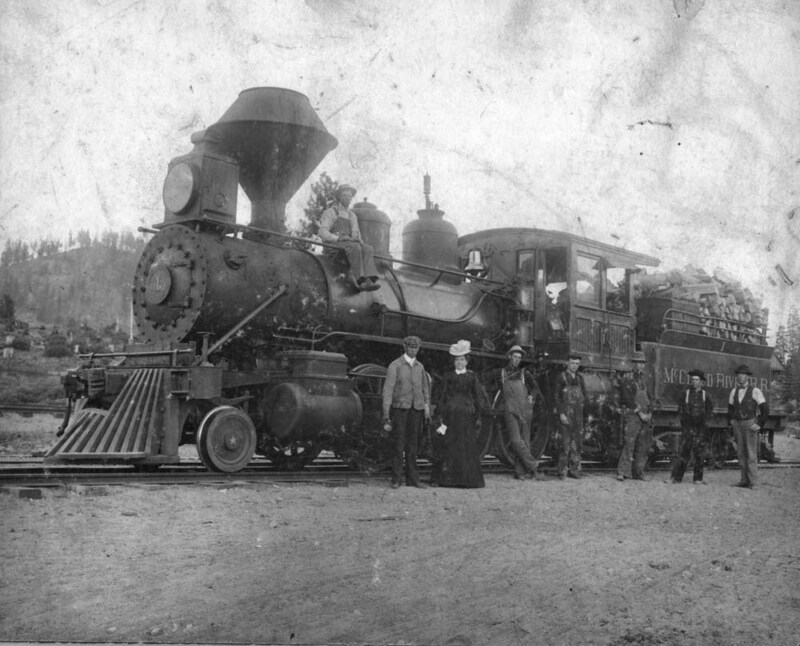 Photograph courtesy of Heritage Junction Museum of McCloud, Inc.